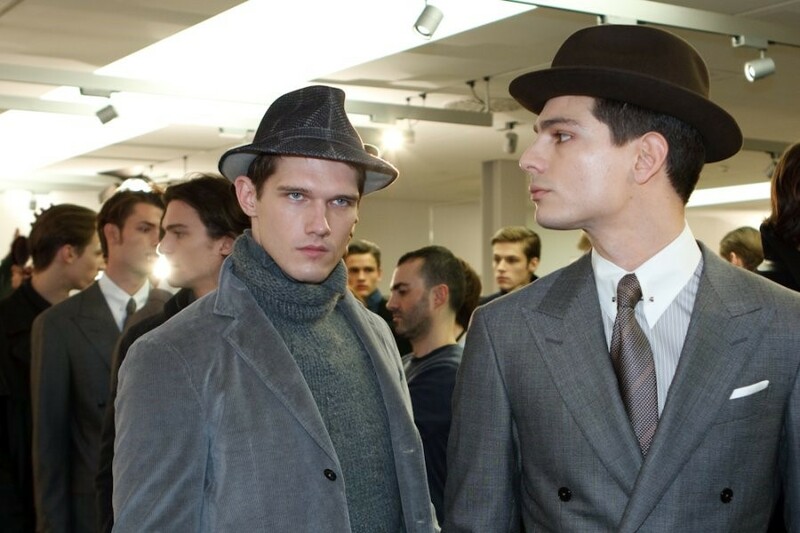 Blue for the skies, green for the forests and mountain stone greys represented Zegna's natural touch to the collection featuring luxury yarn flannel, thick overcoats and jackets, or cashmere clashing with sheepskin and shearling. Amongst the tailored suits designed to highlight the body shape, new hybrid jackets in tanned hides blend innovation with tradition. Designed for the gentleman, the new Autumn/Winter collection injects sophistication into casual and simple menswear.